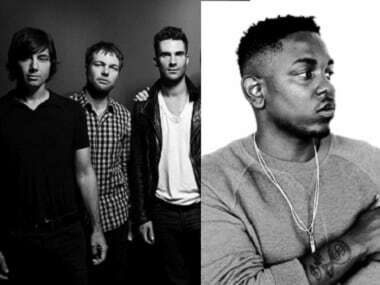 You'd probably want to know that Maroon 5 and Kendrick Lamar are teaming up for the first time on a new track 'Don't Wanna Know' on iTunes. Seems like a very unlikely pairing: a pop rock band who sings love songs and a hard hitting rap star who writes rhymes about the streets? This track, produced by Benny Blanco, is the first single off Maroon 5's album which is a follow up to the 2014's V.
It also marks the first official collaboration between Maroon 5 and Kendrick Lamar. Adam Levine had collaborated with Lamar on a song with Lonely Island called 'YOLO' which debuted on Saturday Night Live. The song first premiered at a show in San Antonio few weeks ago. The video will be debuting on 14 October on The Today Show and will be directed by David Dobkin, who has also directed the band's 'Sugar' video. 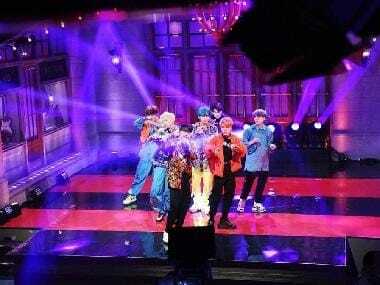 The first television performance of the song will be on the 3 November episode of Ellen. Do he let it down for you, touch your poona like this?